When I think of Rice Krispie Bars they give me a sense of nostalgia of being a kid. 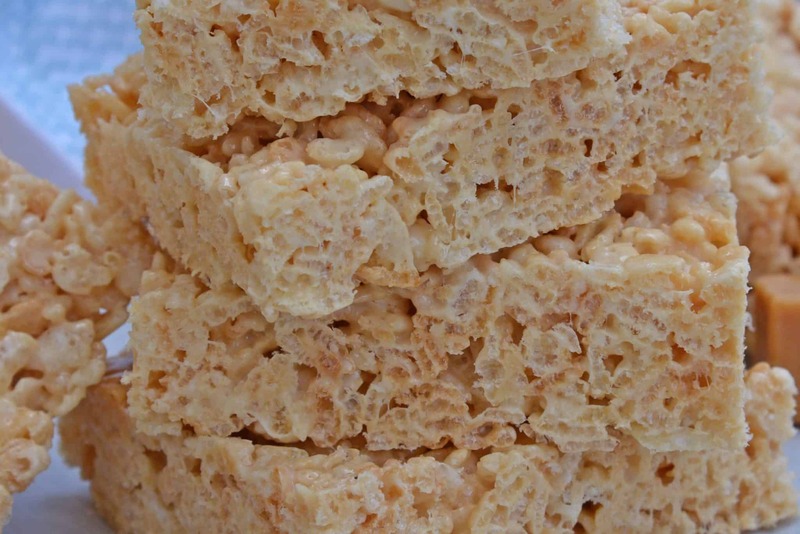 There’s nothing like the taste of Rice Krispie, melted marshmallows, and butter mixed together. 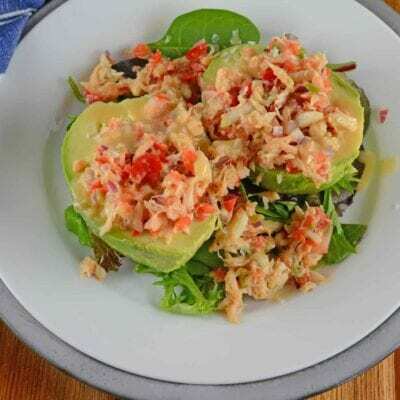 Mmm… yum! Adding caramel makes a good thing even better! 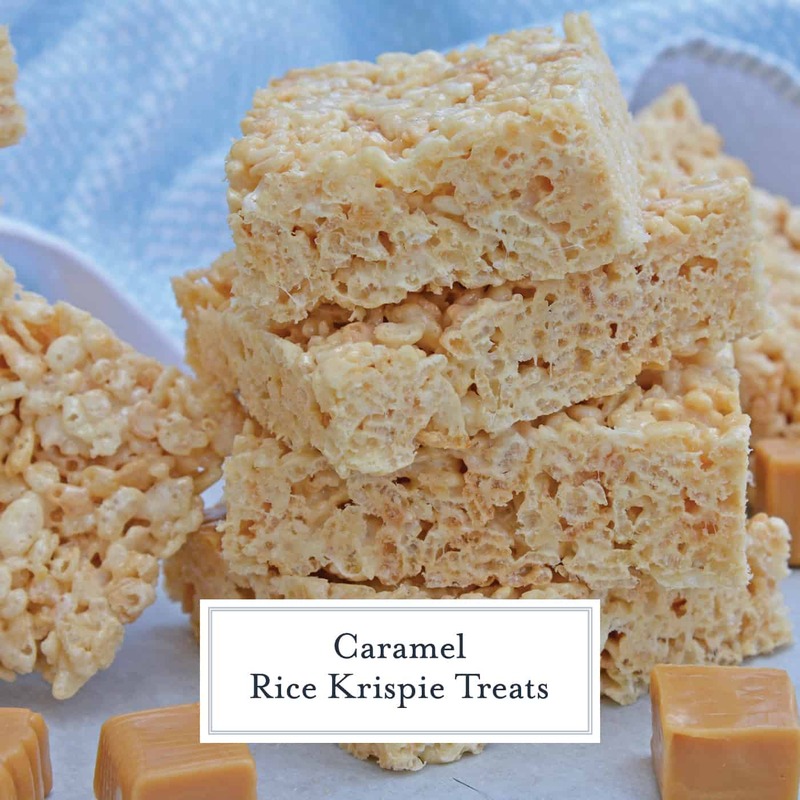 Caramel Rice Krispie Treats are a new twist on an old favorite! 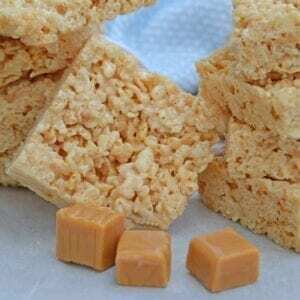 These homemade Rice Krispie Treats are so good and miles better then the store bought ones! 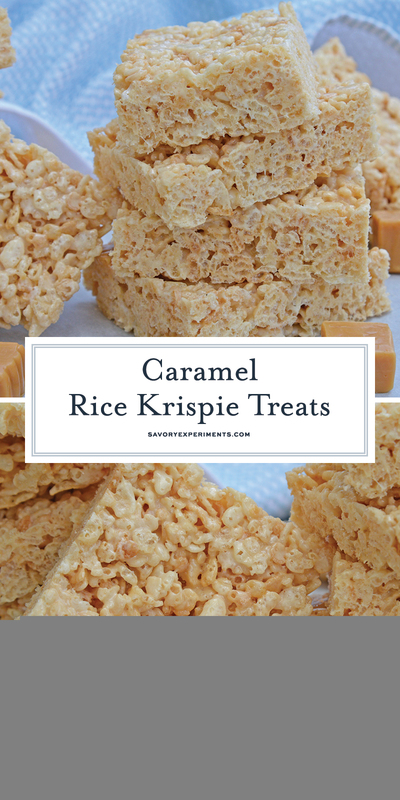 If you like original Rice Krispie Treats, you will love my Caramel Rice Krispie Treats even more! I love putting new flavors into the classic recipe, like peanut butter and chocolate. 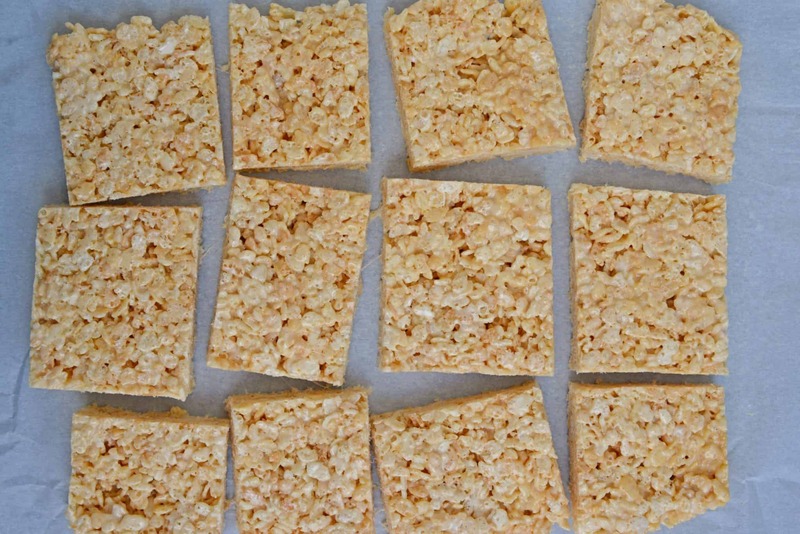 You can combine whatever flavor you want with yours to make any Rice Krispie treat variations you desire. I chose to go with my favorite on this one to make it extra special. Caramel. Caramel. Caramel. Caramel overload! Long before they started to mass produce the overly sugared Rice Krispie Treats in blue crinkly bags, the only way to get the treat was to make them the old fashioned way. 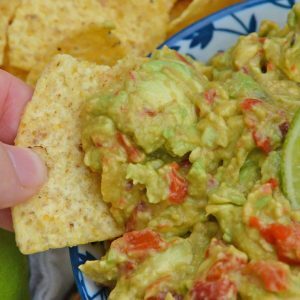 Thank goodness they only required a few ingredients and took less then 20 minutes. There wasn’t a mom in America who didn’t make these on a regular basis. 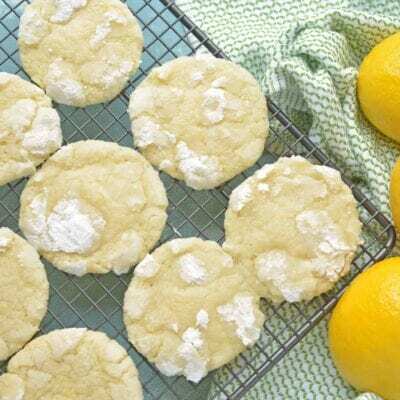 If you’ve had the pre-packaged version you will know that it tastes nothing like the homemade. And if you are used to the super soft, super sweet you may be surprised by the super chewy, make your jaw hurt original. I encourage you to go back to your childhood and make a batch. 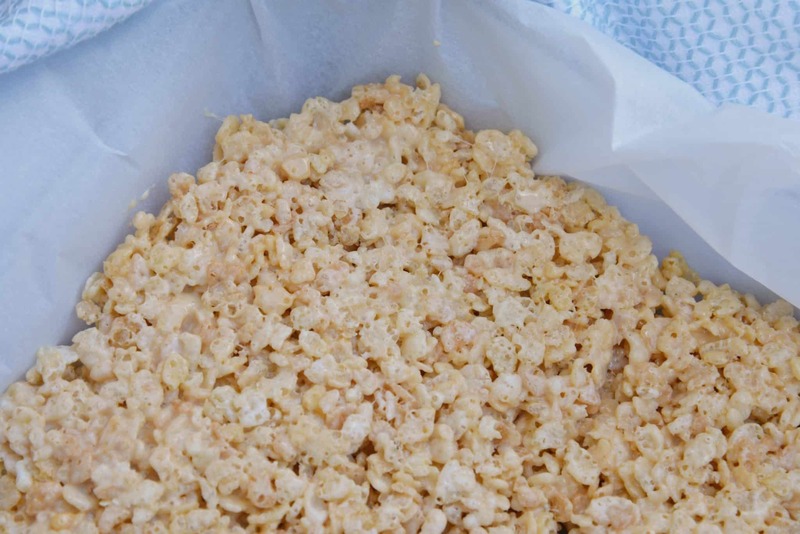 One easy Rice Krispie treat making hack is to use parchment paper. Line your pan with parchment and then use it to mold the warm, gooey Rice Krispies in the shape you desire. On this occasion, it was nothing but a 9×13 pan, but it still helps. It won’t stick and it will protect you from hot marshmallow. I also like to use cookie cutters to make them into fun shapes. Don’t discard the odd leftover shapes in the pan, they are great for a small nibble on your pass through the kitchen or even add them to your morning cereal. Do you remember the Rice Krispie Treats cereal? I loved that stuffed as a kid! – Perfect for stirring everything, but especially sticky stuff, like marshmallow fluff. 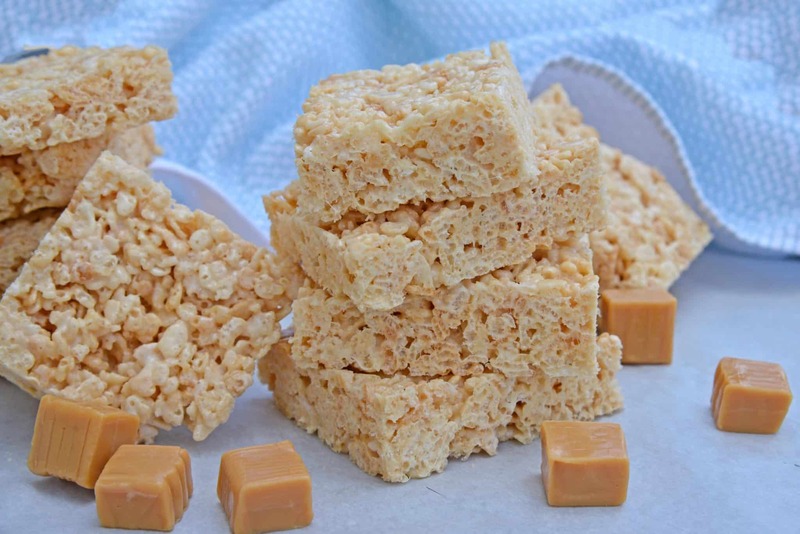 Caramel Rice Krispie Treats are a new twist on an old favorite! Homemade Rice Krispie Treats are so good! In a medium sauce pan melt butter and caramel pieces over medium heat for 3 minutes stirring with a wooden spoon. Add marshmallows. Continue to stir until marshmallows and caramel are melted down and sticky like glue. A wooden spoon is pretty important here because the mixture will stick even worse to other surfaces. Remove from heat and stir in Rice Krispie cereal. Blend well. Line a 9x13 pan with parchment paper. Transfer hot mixture to pan, pressing down evenly using another piece of parchment paper. Cut into squares or use a cookie cutter to make fun shapes. We love comments! 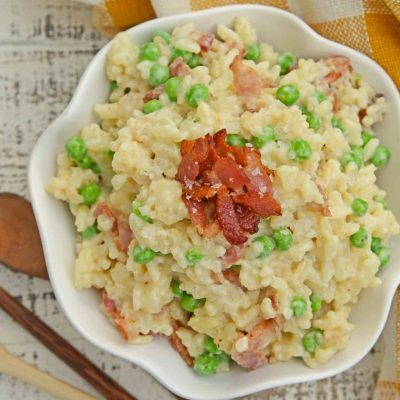 If you've made this recipe, please come back and leave us a comment letting us know how it was or if you made any modifications. 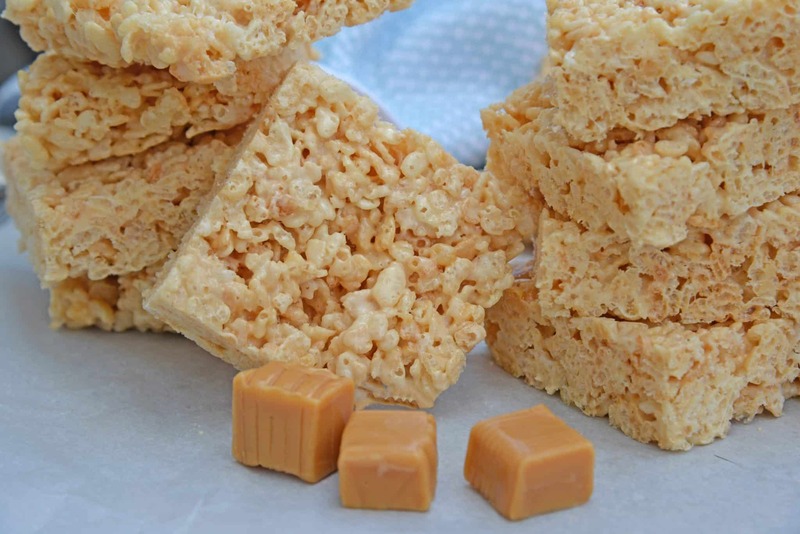 I’ve never thought to add caramel to my rice krispie treats… it’s a great idea! Thank you! They are a match made in heaven! My kids just ADORE these!!!! 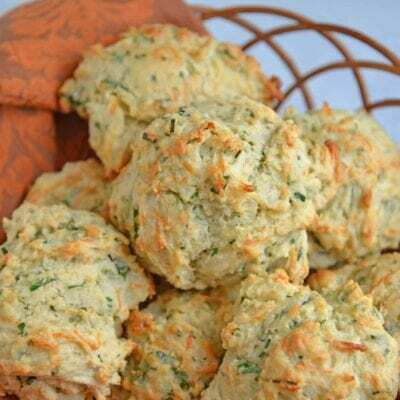 They are the most requested recipe for birthday parties and after school treats. And I love how easy they are to make! So cute! Good idea to use a cookie cutter. Maybe the leftovers would be good on top of ice cream, too.